The southern tip of Italy is a peninsula with over 700 km of coastline. While the coastal areas have a warm, Mediterranean climate, the mountainous interior is heavily forested with beeches and pines. 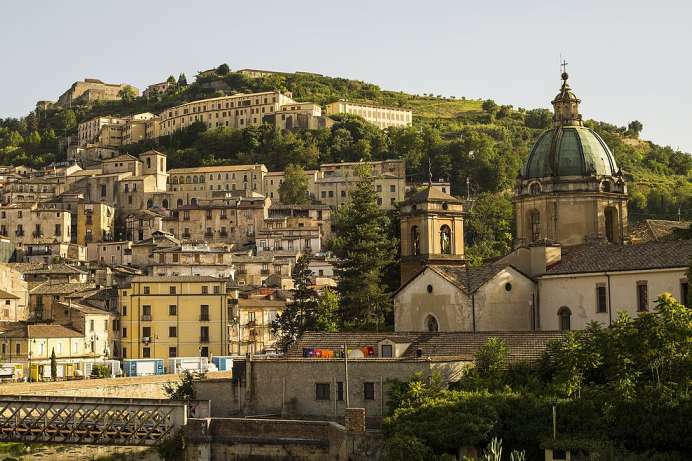 Despite huge government spending, the region remains ones of Italy's poorest. The local farmers live from cultivating olives much as they did 1000 years ago, when, as legend has it, Odysseus once put to shore here. Forests that have never seen an ax before grow on the flanks of the Calabrian Apennines. In the Sila (from the Latin word for “forest”), you can find pines reaching up to 50 meters in height. 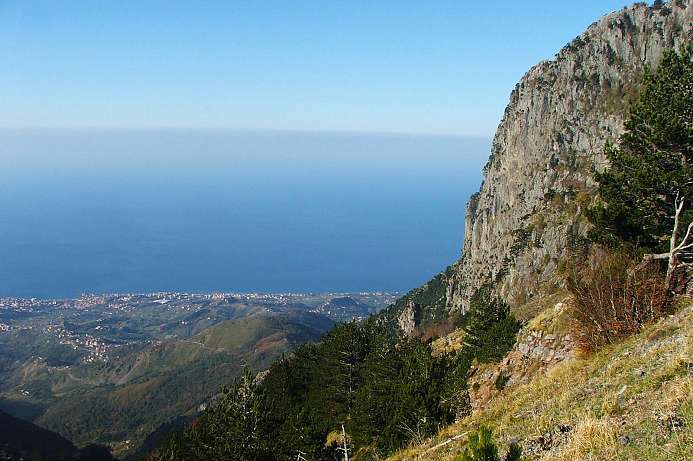 The “rough mountain” at the southern tip of the boot is closely surrounded by the Tyrrhenian and the Ionian Sea. Its bizarre rock formations are traversed by narrow valleys with stony, during summer mostly dried up riverbeds. Wildcats, wolves and Bonelli's eagles live in the age-old beech and fir forests. Most of the rain falls in winter. 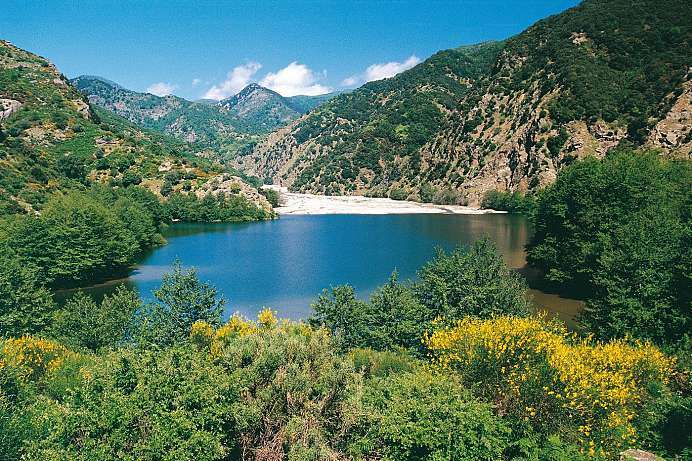 In some villages in the southern Aspromonte Grekaniko is spoken, a dialect which originates from Old and Middle Greek. The mountain village huddles in a picturesque position above the gorge of Fiume Nica. 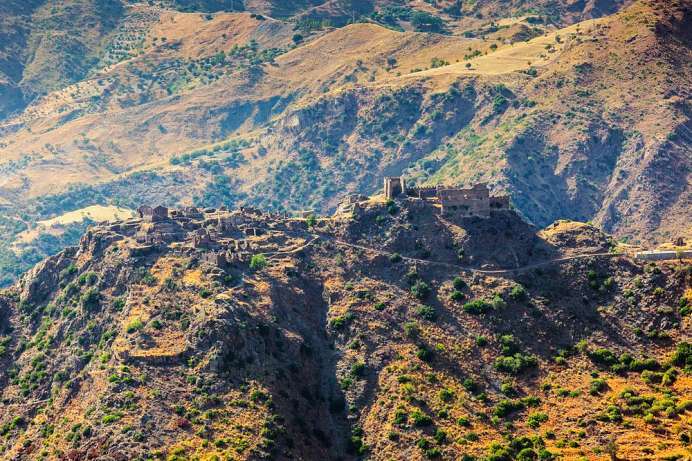 It is reached by a winding, panoramic road that leads from the seaside town of Cariati, via Terravecchia, into the Sila mountains. 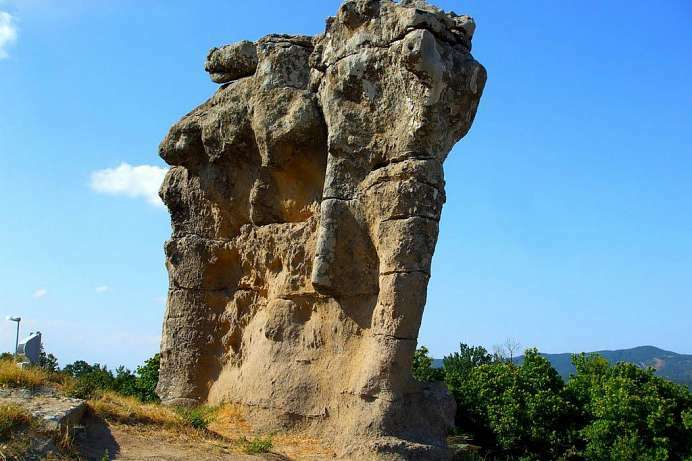 Worth seeing is the Elefante di Pietra, a sandstone rock formation created through erosion, which resembles an elephant. 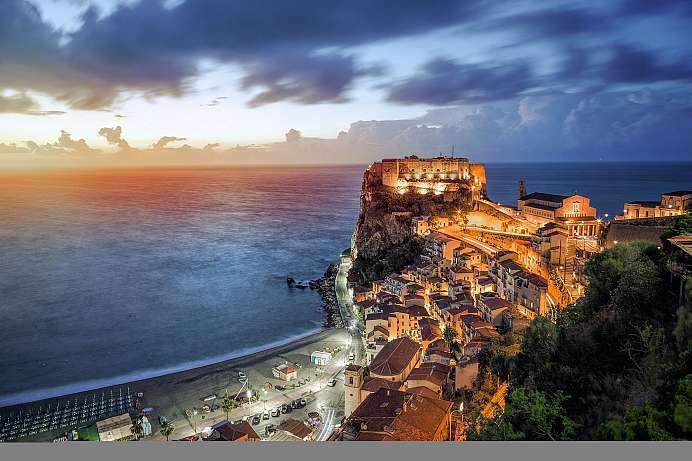 The capital of Calabria lies between two seas on the southern Sila. With its mix of culture, traffic and green spaces it is just as chaotic as it is fascinating. Around the Piazza Matteotti one can explore the narrow alleys and stairways of the old town. This small church, nestled into the slopes of Mount Consolino, one would expect in Greece rather than Calabria. In fact, it is a typical Byzantine cross-domed church, its floor plan depicting a Greek cross. 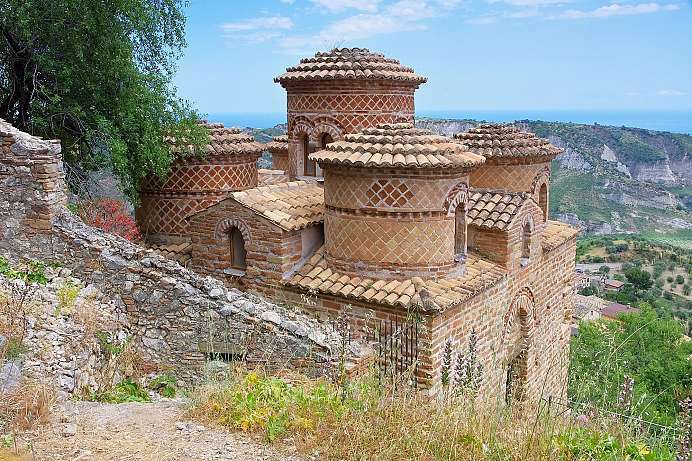 It dates back to the 11th century, when Calabria was part of the Byzantine Eastern Church. 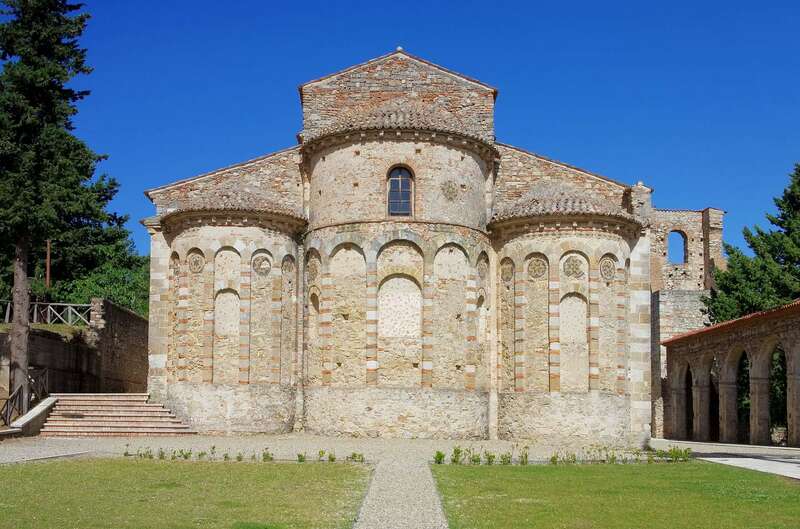 Together with a number of other buildings of this monastic order, it is meant to become part of the UNESCO World Heritage. 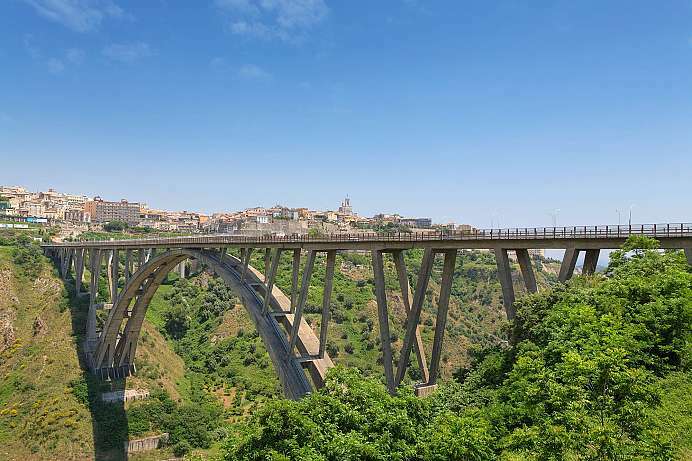 A visit is also worthwhile because of the magnificent panoramic road between Stilo and Pizzo in the Northeast. The town with 2,000 inhabitants is interesting mainly because of its bread museum. There are not only old sorts of bread and cereals issued. It is also about the spiritual importance of bread in the Middle Ages. 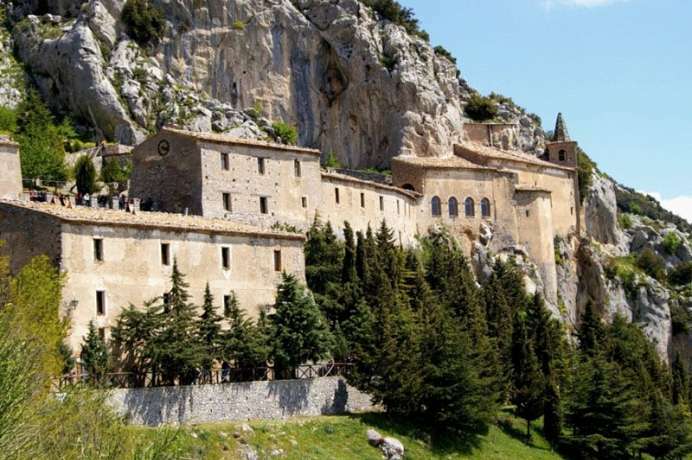 Outside the village, the pilgrimage church of Santa Maria delle Armi sticks to a rock. The church was built in the 15th century. Later, a monastery of Greek-speaking monks was built here. In the 17th and 18th centuries, the church was renovated. The frescoes in the vault date from this period. The city of the Bruttians is one of the oldest cities in Calabria and was built on seven hills at the confluence of Crati and Busento. Due to its cultural importance, it used to be known as the Athens of Italy and today houses the largest university campus in Italy. Steep streets meander through the old town, which has awakened in recent years to cultural liveliness and is considered one of the most beautiful city centers in Italy. Monumental buildings and stately palaces, ancient buildings and churches characterize the cityscape. 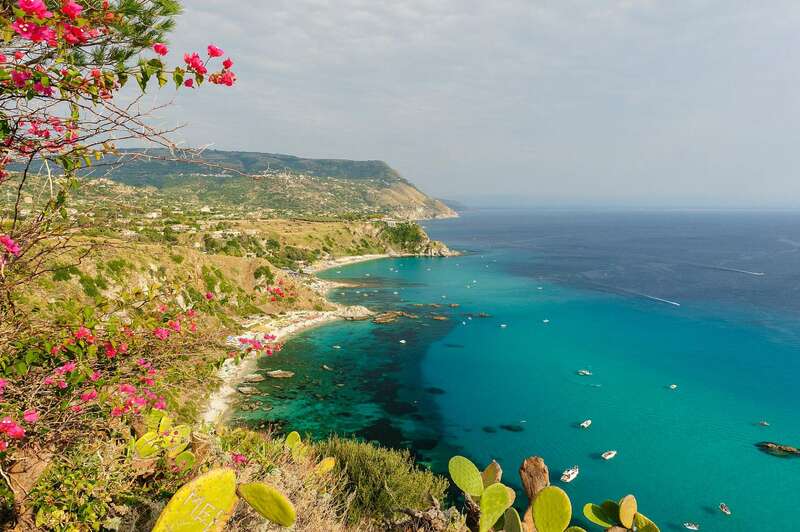 Rocky and sandy coves, azure-colored sea and the warm climate make the peninsula on the Capo Rizzuto a particularly sought-after tourist destination in Calabria. To protect the pristine nature a reserve along the coast has been established, which conserves the forests and scrub of the hinterland and the underwater world alike. 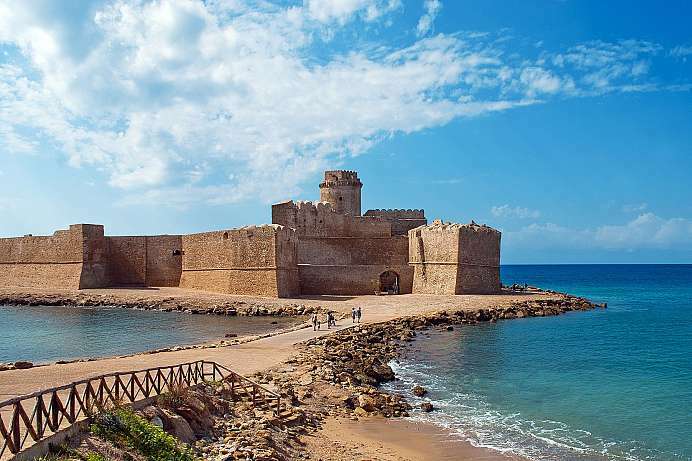 The numerous coastal watchtowers offer a great view of the sea and the cliffs. 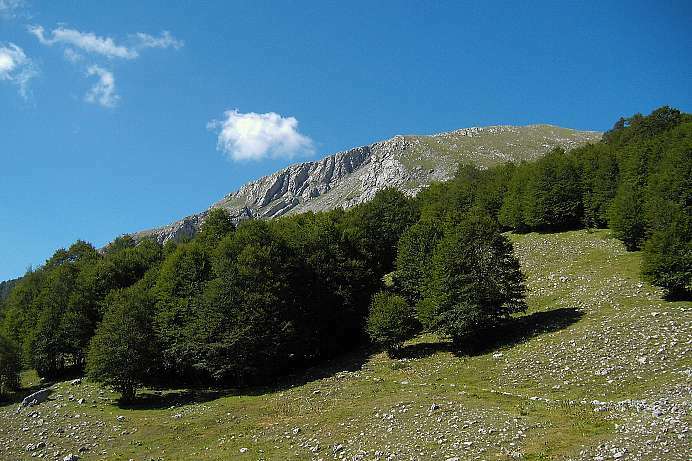 With nearly 2,000 square kilometers, the Pollino National Park is the largest in Italy and one of the largest in Europe. It comprises the southern foothills of the Apennine mountain range, the Pollino and the Orsomarso Massif. It extends from the Tyrrhenian Sea in the east to the Ionian Sea in the west. Between the ridges whitewater has created magnificent canyons. Vultures, owls and wolves are native to the beech woods. 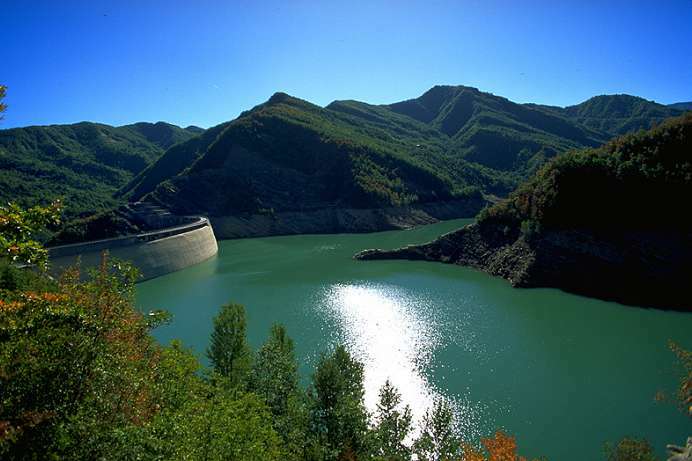 The highest peak is Monte Pollino with 2,248 meters. 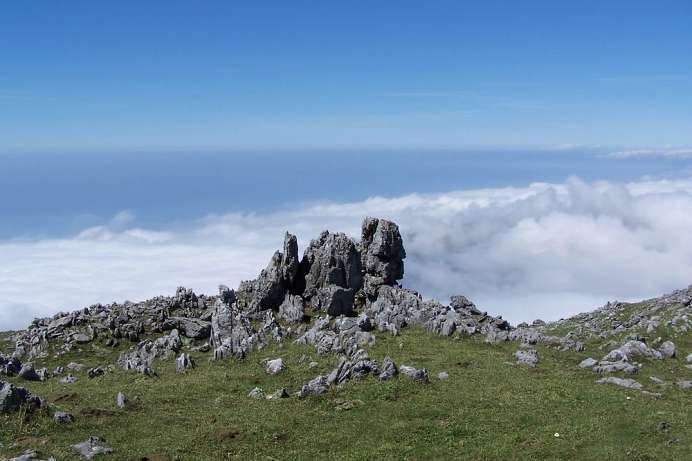 Hiking trails lead to the summit with a wonderful view over the vast mountain wilderness. 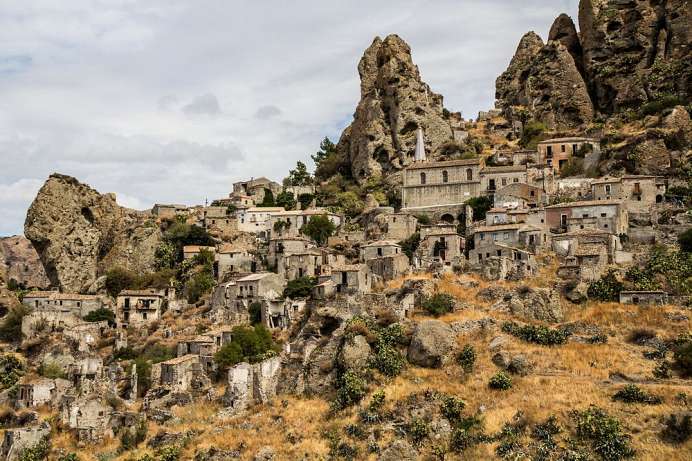 This town, which is 250 meters above sea level, was founded in 640 BC by Greek settlers. It stands at the base of a cliff that resembles a huge hand with five fingers. This explains its name, which is derived from the Greek words “pente” and "daktylos," meaning “five” and “fingers.” Pentedattilo overlooks the Ionian Sea with a view of Sicily and the majestic and often snow-covered Mount Etna. The town itself was abandoned due to the threat of earthquakes. A few medieval buildings still remain, including a castle and the ruins of a Dominican monastery. This Calabrian fishing village stands at the entrance to the Strait of Messina. Thousands of years ago, Homer wrote about the monster Scylla living here. Scylla was originally such an attractive girl that the goddess Circe became envious and poisoned the sea. When Scylla, who like to bathe, stepped into the water, her upper body remained the same, but six dog heads grew out of her lower body. She withdrew to the Strait of Messina, where she would use her tentacles to catch incautious sailors trying to flee from the other local monster, Charybdis. Scylla devoured eight of Odysseus's men as they sailed through the strait. Today, the town of Scilla has a fortress, a harbor and an beautiful old town. The Sila Mountains cover an area of 2,000 square km in the heart of Calabria between Rossano to the north and Catanzaro to the south. The highest point is the peak of the Botte Donato (about 2,000 m). The name derives from the Latin word “silva” for forest, and the area is still largely covered by woodlands today. The forests mainly consist of pine, although very old beech, chestnut and oak trees can also be found, which lend the landscape a more northerly, central European touch. Much of the region is a protected national park that is home to an increasing number of wolves, eagles, owls and black woodpeckers.